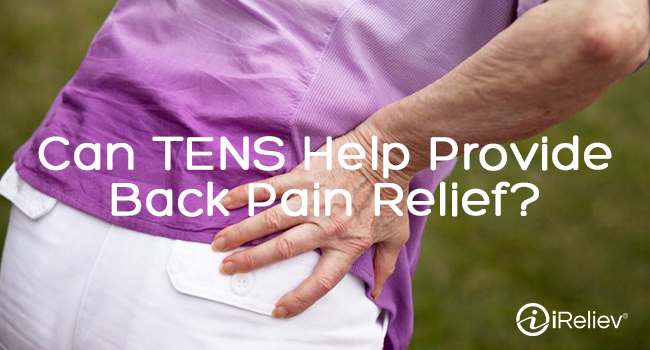 People always wonder, "Can TENS help provide back pain relief?" Not surprising since low back pain is the 5th most common medical complaint people seek treatment for. Between 75% and 80% of Americans will experience an episode of low back pain at some point in their life, according to the Centers for Medicare and Medicaid Services. For many people, low back pain is a short-term condition, but for a small proportion of people, it can be disabling, frustrating and often lead to depression and other ailments. The simple things in life like sitting upright in an office chair or driving can often aggravate back pain, since this sitting position loads the back three times more than standing. "Between 75% and 80% of Americans will experience an episode of low back pain at some point in their life..."
Can TENS Help Back Pain Relief? Despite the number of people that suffer from low back pain, there are limited affordable drug-free alternatives to effectively treat back pain. Device options for insurance reimbursement like TENS, or Transcutaneous Nerve Stimulation, is often met with mixed reviews and controversy based on “limited or insufficient” clinical data despite thirty years of solid data including a 2013 study that demonstrated that people whom were treated with TENS had significantly fewer hospital and clinic visits, used less diagnostic imaging, had fewer physical therapy visits, and required less back surgery. Many people ask us at iReliev.com, "Can TENS Can Help Back Pain Relief?" We certainly think so, as does the thousands of people that use iReliev each and every day. Physicians and physical therapists seem to agree. Enough supportive research was available to have Medicare, Medicaid and mostly all insurance carriers reimburse for TENS (HCPCS: ET0730 and E0720) for Chronic Low Back Pain since 1993. However, the TENS therapy for back pain has been met by skepticism. For example, a 2010 report by an American Academy of Neurology panel, concluded that TENS treatment was not effective based on the panel's systematic review of published studies of TENS. The panel determined there was "conflicting evidence for the use of TENS in the treatment of chronic low back pain and that TENS should be deemed ineffective for this purpose." This finding has been met with significant resistance by clinicians in support of the electrotherapy devices including TENS and Electrical Muscle Stimulation, or EMS, which is sometimes referred to as NMES or Neuromuscular Electrical Stimulation. Each day, 44 people in the United States die from an overdose of prescription painkillers, according to the CDC. 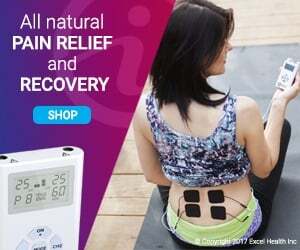 Thankfully, OTC or over-the-counter TENS products like iReliev are now available without a written prescription from a physician and can be quite effective for many people that require a drug-free alternative that can help with back pain. The technology has improved over the years making them easier to use, more cost effective and highly portable. iReliev devices are literally the footprint of a credit card, which is beneficial since it can be easily worn on the go or in your home. The primary difference between FDA cleared OTC TENS devices and prescription devices is the user interface and the ease at which the device is operated. The FDA helps ensure that devices are safe, effective and easily understood for retail consumers. Can TENS help provide back pain relief? At iReliev...we believe so.